According to JOHN GOODHIND 's death certificate at the State House in Boston, he was born at Dartford, Kent on October 28, 1853 and died December 20, 1915 in Springfield at the age of 62. Like his father and brothers, John was a papermaker and became a mill Superintendent. He married AMY DYSON CUCKOW (born November 30, 1858 at Dartford) on April 30, 1876 in Dartford. Amy died October 22, 1920 in West Springfield at the age of 61. John and Amy are buried in the Goodhind plot in Springfield Cemetery, Maple Street, Springfield, MA. One document we have regarding the family is their entrance into the Port of New York on the S. S. Canada out of London, England on January 23, 1880. You can view that document by following this link. 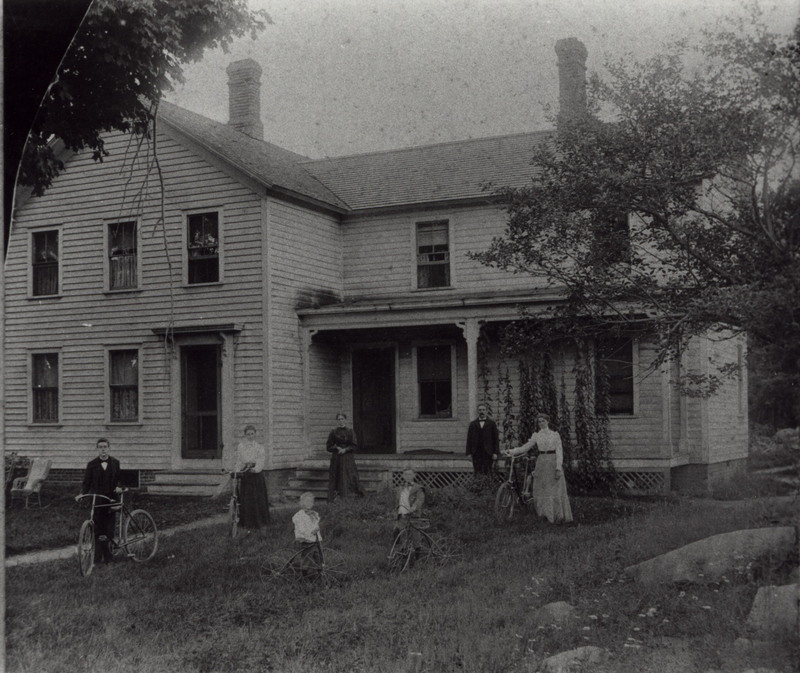 In the 1900 census, John (46) is found living in Becket, MA with his wife Amy (41), children Charlotte (24), Lillian E. (18), John Jr. (15), Arthur S. (9) and Alfred E. (7). John is listed as a Supt. of a paper mill; Amy had no occupation listed, Charlotte was a bookkeeper in a mill, Lillian and John Jr. were paper sorters. John Sr. 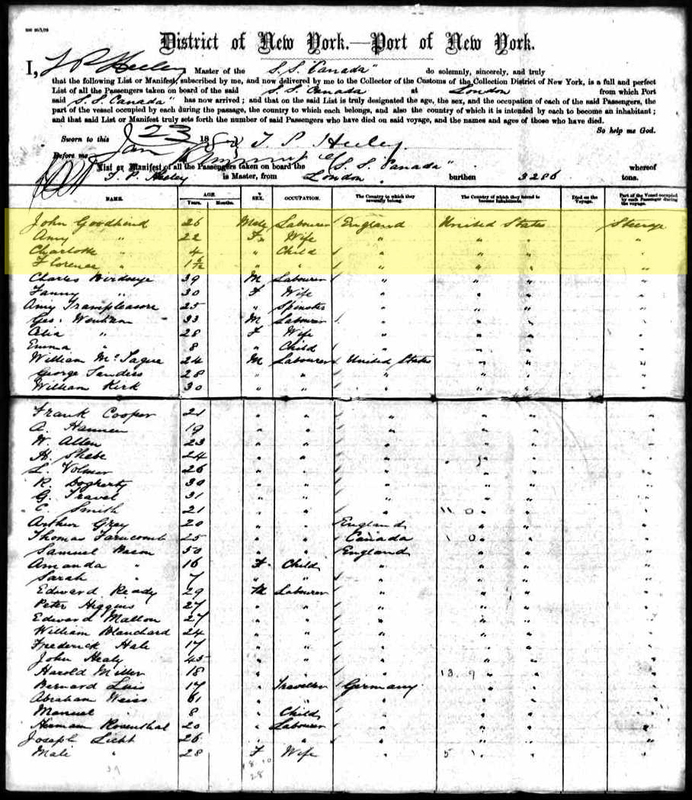 According to this census, Amy, Charlotte and John Jr. were naturalized in 1887. (Unlike his brothers, John did not become an American citizen.) 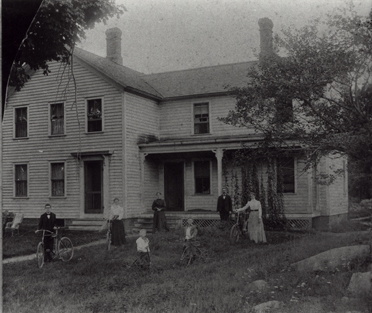 John rented his home (likely leased to him by the papermill). A. CHARLOTTE GOODHIND, always known as "Lottie," was born in Dartford, Kent on June 30, 1876. 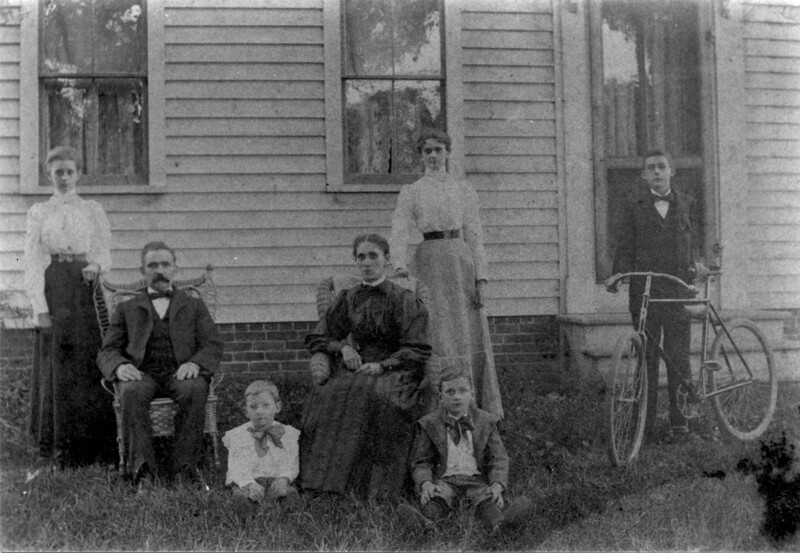 On January 1, 1924 she married her sister Lillian's widowed husband, GEORGE LESLIE MASCHIN (born June 23, 1880 in New York City of Czech parents; died 8 August, 1974 in Gadsden, FL at the age of 94). Lottie died on October 14, 1949 at the age of 73. She is buried with her parents in Springfield Cemetery. B. FLORENCE GOODHIND was born about June 21, 1878 in East Maidstone, Kent; she died on June 7, 1881 in Huntington, MA of scarlet fever. She was just two weeks shy of her third birthday. D. JOHN GOODHIND, JR. was born in Birmingham, England on October 23, 1884. John Jr. died, unmarried, in an automobile accident in Florida on September 21, 1966 at the age of 83. He was something of a loner and a recluse. His body remained unidentified for a month following his death. John is buried with his parents in Springfield Cemetery. Many thanks to Cindy Palmer and Susan Andrews Polumbo for the information contained on this page!